Jim Neal of the Firm’s oil and gas division assisted in efforts to amend existing Michigan statutes to provide for pipeline transportation of carbon dioxide for enhanced oil recovery and carbon dioxide sequestration. He also assisted in amending Michigan’s severance tax to establish a 4% tax rate on future oil recovered by carbon dioxide enhanced oil recovery operations. 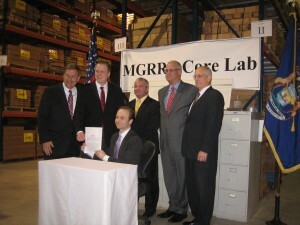 A signing ceremony was held on April 1, 2014 at the Michigan Geological Repository for Research and Education Center maintained by Western Michigan University in Kalamazoo, Michigan. 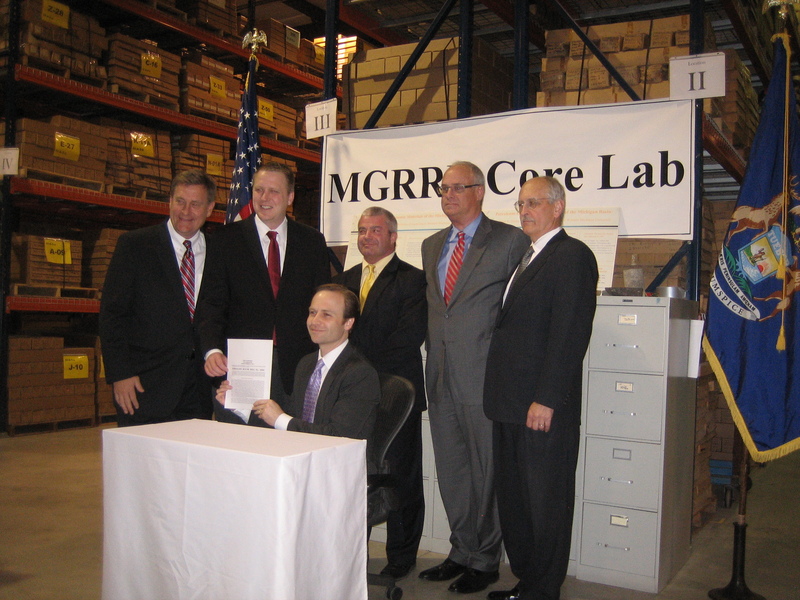 Lieutenant Governor Brian Calley signed as Acting Governor because Governor Snyder was in Europe. The Michigan Geological Repository for Research and Education Center houses core samples from wells drilled in Michigan dating back to 1928. This picture shows a portion of the Center, which is a great resource to the industry. HB 4885 – Establishes 4% severance tax rate on oil produced by injection of carbon dioxide. HB 5254, HB 5255, HB 5274 – Together amend Michigan’s 1929 petroleum pipeline statute to provide for pipelines to transport carbon dioxide.